Being a rest day, we had the pleasure of sleeping in. Then after finding a laundromat we decided to be tourists for a few hours. Leon dates from 69 BC when it was an outpost of the Roman Legion. Later Visigoths and Moors controlled this area and the town over the centuries. At one point the town was burned by the Moors and depopulated by the Plague. 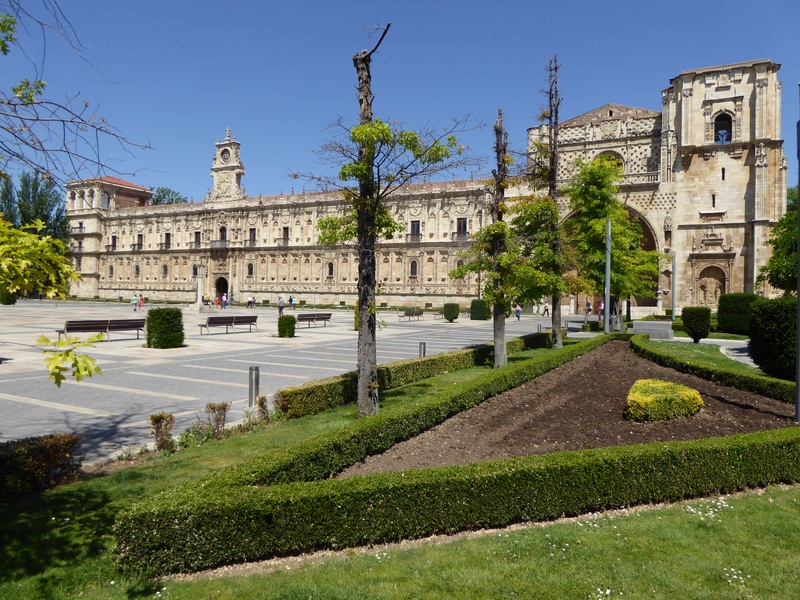 In the 10th century the whole Meseta was repopulated and Leon became the capital of the kingdom.Leon played vital part in the “Reconquista” -718-1492 securing her place in Christian Spain. Now Leon is a very nice city of 135,000 people. It is a mixture of the very old and the very knew. Renowned structures are the Gothic Santa Maria de Leon cathedral. Its 1800 sqm of stained glass have earned it the name of “House of Light”. You can imagine the incredible beauty—many of the windows are original. 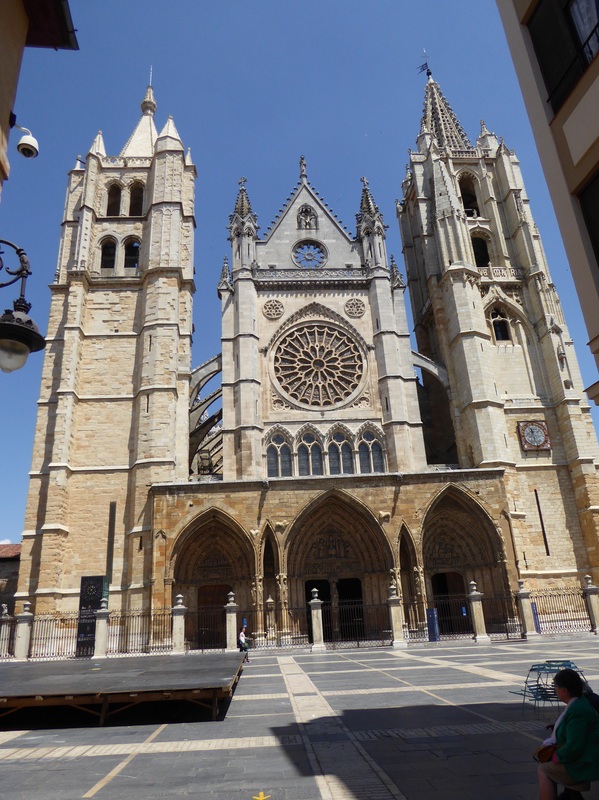 Also, not to be missed in Leon is the Basilica San Isidora. It is a combination of Roman, Gothic and Renaissance styles and is the medieval pantheon for the Kings of Leon. Significantly, in 1188 the “Cortes de Leon” was held in the Basilica, and is recognized as the first modern parliament in Western Europe. Another interesting building is the Casa de Botines designed by the renowned Spanish architect, Antoni Gaudi. This is a modernistic building but without the surrealism of some of Gaudi’s more famous work. Which is the real pilgrim… Both pooped after a long day! for the pilgrims travelling to Santiago de Compostela in Galicia. 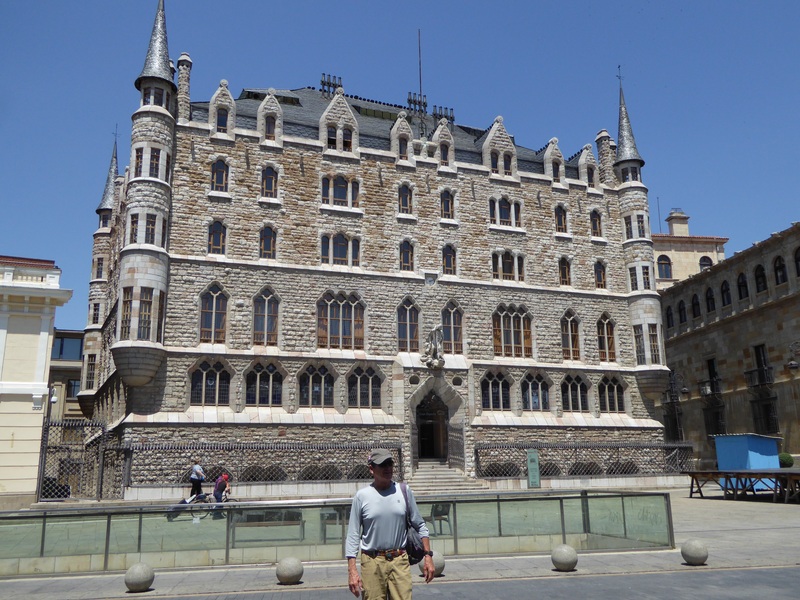 This is considered one of the most beautiful Renaissance buildings in Spain. 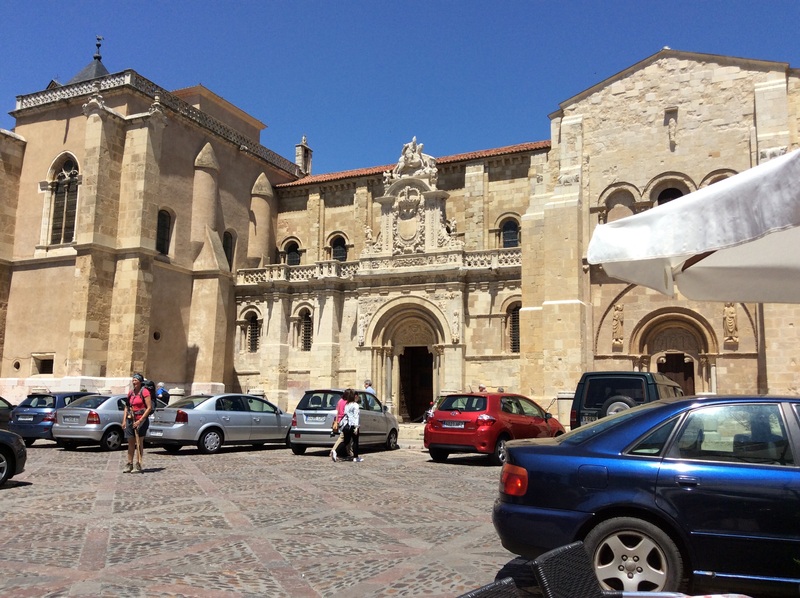 Square in front of the Basilica San Isidora. 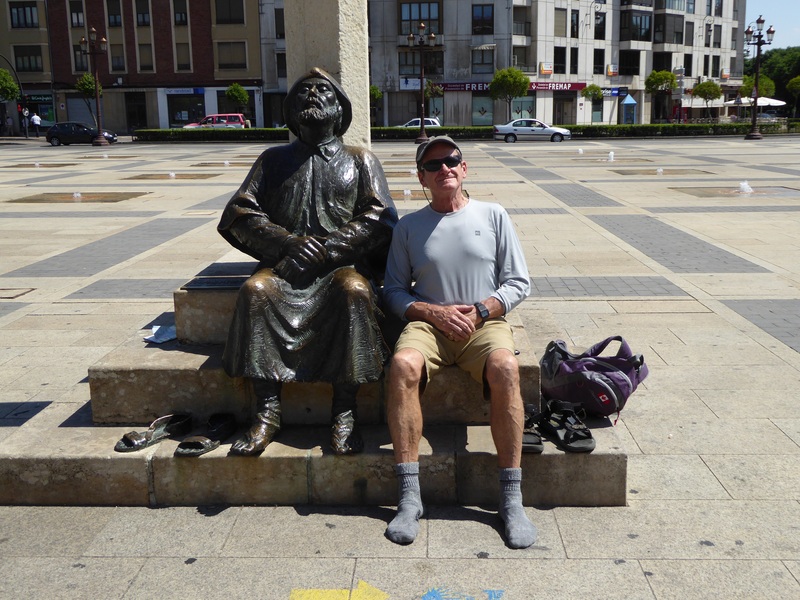 The ‘real’ Pilgrim is on the left . . . . no sorry, he is on the right! What a marvelous voyage through time. Delana, you never cease to amaze me. Your historical knowledge is beyond belief and your writing is impecable . . . to marvel at. Rod, not to be out done; you take perfect pictures that compliment Delana’s script. Enjoy!